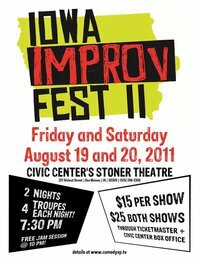 Comedy XPeriment is honored to be hosting the 2nd Annual Iowa Improv Festival or IIFII! The two-night event features four Iowa-region improvisation troupes showcasing their many talents in the heart of Des Moines. From the Missouri River to the Mighty Mississippi, this fine state of ours contains talents that you won’t believe! Each night at the Civic Center’s Stoner Studio Theater, you will see all four troupes performing a 25-minute set. After the main show, stick around for a free-wheeling improv jam where all four troupes will combine for one final improvisation blow-out! 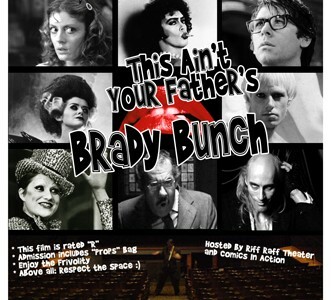 That’s 4 Troupes, 2 Shows this August 19th & 20th!